What Does Fedor's Past Tell Us About His Future? What Does Fedor’s Past Tell Us About His Future? MMA (mixed martial arts) legend Fedor Emelianenko is on the brink of his long-awaited comeback to the fight game. After retiring in 2012, ‘The Last Emperor’ flirted with the world of politics, and travelled the globe both training young fighters and students of martial arts, and helping the sports of MMA and Combat Sambo in his native country of Russia. The big question on everyone’s lips is when and where? The potential signing of Fedor Emelianenko by the UFC is a salivating prospect to say the least. We’ve seen by recent photos that Fedor is looking big, and more in the reminiscent physical status of his career circa 2005. 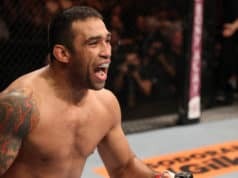 The twilight of his first fighting stint was marred by a submission loss to current UFC heavyweight champion Fabricio Werdum, and a couple of knockout/technical knockouts against Dan Henderson and Antonio ‘Bigfoot’ Silva. At that stage of his illustrious career, it’s fair to say that Russian former Pride FC champion was soft in the gut, and just wasn’t the same fighter as before. He followed the trio of heartbreaking defeats with streak of three victories, but even the wins left an odd conclusion to what was, on the whole, a pretty amazing journey through some of the biggest promotions. Pedro Rizzo, Jeff Monson and Satoshi Ishii were simply not satisfying enough as opponents for ‘The Last Emperor’, or perhaps fans just didn’t want to accept that these were the most feasible fights for Fedor, a man once labelled the most dominant MMA combatant in the world. Either way, there was a lack of closure in the end of his storied career, and twinned with the obvious decline in his physique, few really expected Emelianenko to come back. So what can we tell about his fighting future, from that look back in to his past? Motivation will be a huge factor in his return, a variable that often acts as an influence on training methods, fitness and performance on fight night. If ‘The Russian Experiment’ is using the more modern training methods now, as he has hinted towards recently, we could see a completely different version of Fedor, which could also make him very hard to gameplan for. We know he at least looks in shape right now, and a fired up Emelianenko has proved to be unbeatable for long periods of time, see his ten-year reign of dominance in Japanese MMA culture for reference. 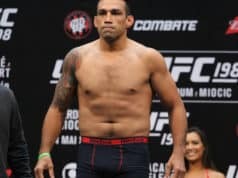 What is unquestionably different now is that he has aged about 9 or 10 years since his prime, if you consider his bout with Mirko Cro Cop in 2005 as his best form, and speed can often take the biggest hit when a fighter is knocking on in years. Power is often the last thing to go in to decline, and Emelianenko has shown that in abundance during his famous glory days. We can also make varied speculations about how confident Fedor by where he eventually signs and fights. Truth be told, many of us will now exactly which Fedor Emelianenko to expect when he makes the walk to the octagon, ring or cage of combat in the coming months. His demeanour, physique and focus will be on show for everyone to see, but there is always the possibility that these contributing factors will still not be sufficient to outweigh the effects of time and inactivity on the 38-year old Russian fan favorite. Fedor’s career is both a tale of his accomplishments, and a detailed map of where things started to decline for him. Wherever he decides to stick that pin in terms of his fighting future depends on so much, but could be swayed by so little, and could potentially mark the start of the second era of ‘The Last Emperor’, or an ill-fated final foray in to the world he once held so firmly in his palm.